Farmington Hills New Roof | Farmington Hills Roof Tear-Off | Farmington Hills Roof Installation | Farmington Hills New Roof Estimate | Farmington Hills Roofing EstimateMcGlinch & Sons CO.
Are you looking for a company you can trust to do a roof tear-off or a reliable name who will give you a fair new roof estimate? If so, McGlinch & Sons is a home improvement company that has been serving the Metro Detroit area since 1917. With the severe Midwest winter we have in southern Michigan its necessary to make sure your new roof and roof installation is done right. McGlinch offers Farmington Hills area residents a roofing estimate that is cost effective and competitive. We value and appreciate the loyalty and support of our customers, and we look forward to continually exceeding expectations. 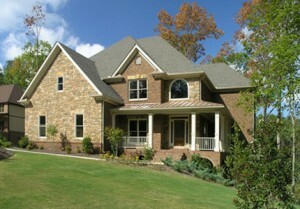 McGlinch handles all aspects of exterior construction, and we are Licensed & Insured trained professionals. If you need a new roof or a roof tear-off call us today to get the quality craft you deserve and a new roof estimate that is affordable. Farmington Hills is the second largest city in Oakland County, Michigan with a population of 79,740. This classy suburb of Metro Detroit offers newly renovated city features like a vintage theatre, boutiques, and galleries. Wall St. has ranked Farmington Hills the 14th best city to live in the U.S. Many Farmington Hills residents have been entirely pleased with their roof estimate and roof installation from McGlinch. McGlinch is a trusted family owned and operated roof provider with four generations of history at being a reliable. We offer our customers a roof tear-off, roof installation or even a new roof estimate. McGlinch & Sons doesn’t cut any corners when it comes to using quality materials for a secure and lasting roof. Call us today at (313) 278-2777 for your roofing estimate in or near Farmington Hills. We are a knowledgeable and experienced company dedicated to giving you a quality new roof, and we look forward to working with you on your roof tear-off or roof installation.